This is quite possibly the most needless recommendation I've ever written. 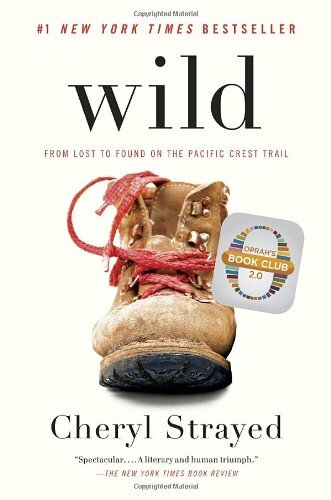 Almost two years ago, Oprah Winfrey selected Wild as the first book in the new iteration of her book club, Oprah's Book Club 2.0. Thanks to Oprah's endorsement and the ensuing massive publicity, I'm pretty sure just about everyone who wants to read this book already has. However, I just now got around to it, and while adding my teeny-weeny stamp of approval to a book with an Oprah sticker on it is admittedly redundant, I loved the book too much to keep quiet about it. It took me this long to pick it up because, I don't know, a hiking memoir? A book about being outside and walking for a long time? Without regular showers and stuff? Eh. Not really my thing, I thought. I've said before that I'm not outdoorsy. You've seen what I look like when I hike. I just wasn't sure this was the book for me. 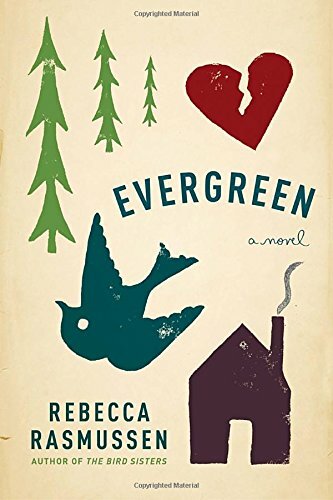 But then it was selected by my own book club (no affiliation with Oprah's), and I decided I was game to try it. And—I love it when this happens—I was so happy to have my modest expectations exceeded. Exploded, really. It was like a big BANG and then just confetti, everywhere. Cheryl Strayed, like many memoirists, has had a difficult life. Some of her problems were caused by others, but some, she readily admits, were totally self-inflicted. Her mother died suddenly of cancer when Strayed was in her early twenties. Her biological father had left years before, her stepfather drifted away into a new marriage and family, and her siblings were mostly unreachable, mired in their own lives. Strayed had married young and depicts her husband as kind and supportive, but her mother's death left her feeling cut off from him, adrift and alone. Four years after her mother's death, Strayed quit her job and left Minnesota to hike the Pacific Crest Trail, a path over 2,000 miles long that stretches parallel to the Pacific coast from Canada to Mexico. Her decision to hike the trail was basically a whim. She prepared in only the most cursory of ways. Her boots were too small, destroying her feet and causing her toenails to pop off one by one. Her pack was ridiculously heavy, more than half her body weight and filled with items she didn't need. She found herself completely humbled by the trail, unprepared but still plodding ahead, day after day, mile after mile. And by the end of her journey, she had hiked 1,100 miles and reached her chosen destination, the Bridge of the Gods, which spans the state line between Washington and Oregon. Strayed's experience on the trail makes for great reading, but the real story here is her journey to find herself and heal from the aching emptiness her mother's death left in her. She is brutally honest in her telling, seeming to leave no details out, even those that show her in a negative light. She has made some bad decisions, hurt herself and hurt others, and sometimes all that candor is a little hard to stomach. Still, it takes a special kind of courage to write a memoir, to let the whole world see the ugly, scarred parts of your past, and I found myself drawn into Strayed's story even as I shrank from some of the details. And it doesn't hurt that she's a skilled writer. So if you haven't yet given this book a chance, listen to Oprah and me, and read it now.